‘Sydenham’ takes the form of a journey and looks at the way things used to be. It starts at the Holywood Arches and travels along the Holywood Road from Gelston’s Corner to Knocknagoney, taking in St Mark’s Dundela, Edgcumbe and Ashfield Dairy. It also looks at the development of the area around Connsbrook Avenue, Strand Presbyterian Church, Camlin’s Nursery, the Sydenham Bypass and Victoria Park. In the East Belfast Historical Society Journal Vol.4 No 4 from 2010, Charles Ludlow authored a chapter entitled ‘Sydenham’. The area of the district regarded as Sydenham has changed over the years. At one time it was considered as part of Strandtown, but later an Ordnance Survey map of 1902 incorporates much of what is now considered as Strandtown, and also Belmont. It is contained by the Holywood Road from Knocknagoney, Connswater and Belfast Lough, but confusingly, not Sydenham Avenue or the former site of Sydenham House. 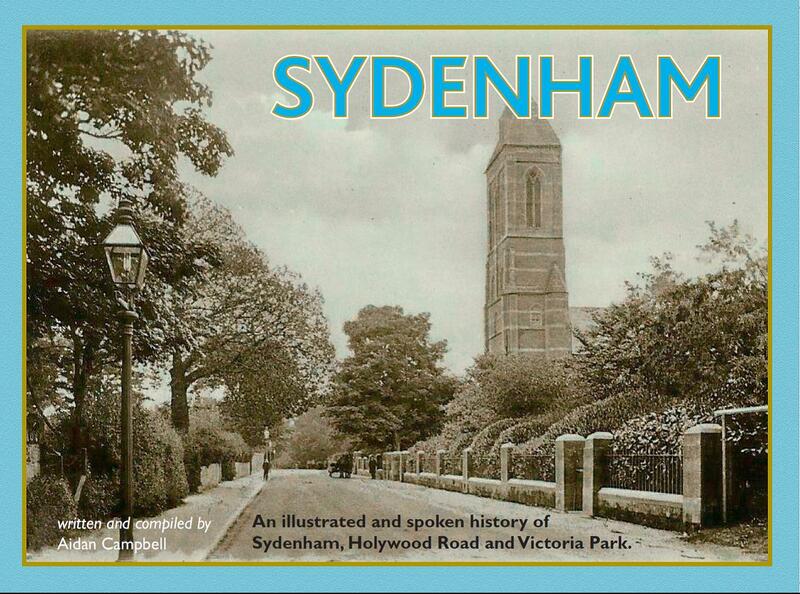 The name Sydenham only came into use in 1854. Unlike other areas of East Belfast such as Ballyhackamore, Knock and Cregagh (which are all townlands) the name does not relate to a physical geographical feature or historical background. The name of the fashionable London suburb was chosen by James Entwhistle, a speculative builder, who developed much of Sydenham as a residential area, presumably as being more high sounding than Strandtown. The name of Strandtown has a long history going back to the time when the Hamiltons of Bangor were granted the land by King James I. 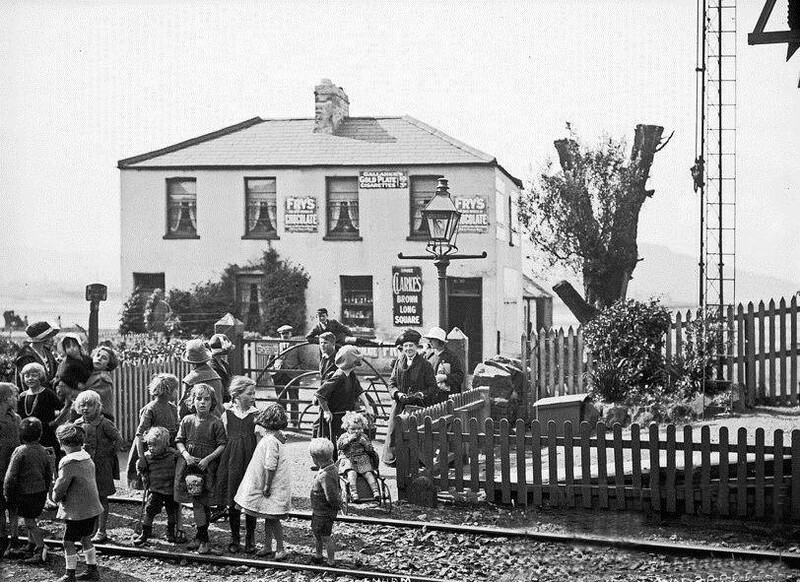 In 1858 Thomas McClure purchased the townlands of Strandtown and Ballymaghan from the Ranfurley family of Dungannon. He later became the proprietor of the townland of Ballycloghan and Belmont mansion, which is now the site of Campbell College. This painting was completed in 1864 by Jacob Henry Connop and entitled ‘View of Sydenham, Belmont and Glenmachan.’ Connop was an English-born artist who had been working in Belfast during the 1860s and produced a number of scenes and views of the city. He was well known for his ‘bird’s eye’ views which were often taken from towers or hills. 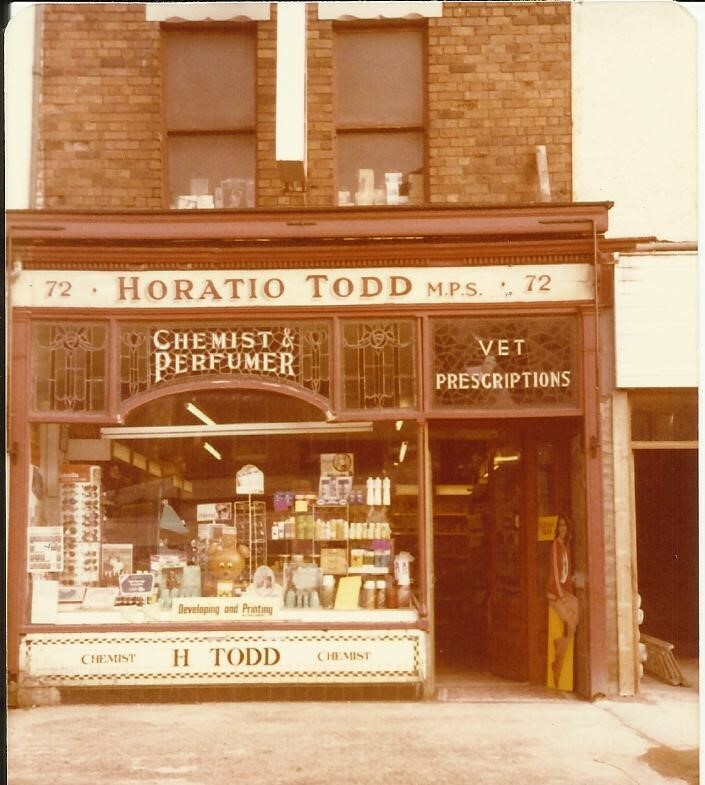 Horatio Todd established his pharmacy at 72 Holywood Road in 1906. His range of preparations included perfumes, pills, stomach powders, cough mixtures, ointments, tonics and animal remedies. He lived at Sandown Road and kept a pony in a stable at the rear of his premises. It was said that when he opened his premises on the edge of town that he could see green fields from the front door. Edgcumbe House was built in 1837. It was an early Victorian, two-storey residence, with two gate lodges and grounds extending to 26 acres. It became the home of ‘Wee shipyard’ owner James Workman of Workman Clark & Co in 1854. 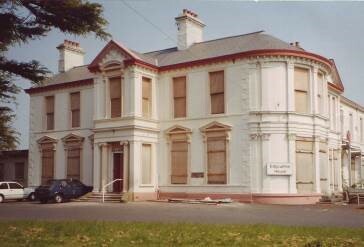 Like many big houses of a certain age in East Belfast, it reached the end of the line in terms of its useful life and it was demolished in 1993. The caption says: ‘Sydenham level crossing 1920’. The small shop operated by the Bruce family displays lots of advertising for ‘Fry’s Chocolate’ and ‘Gallaher’s’ tobacco. It was located on the seaward side of the railway line facing Sydenham Station and the Sydenham Bypass now occupies the site. 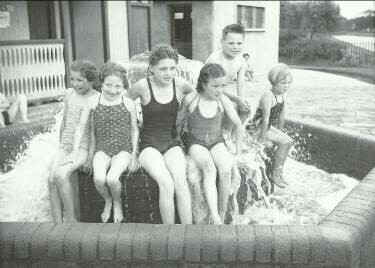 This photograph is dated July 22nd 1952 and captioned ‘Children keep cool at the fountain, Victoria Park swimming pool’. The outdoor swimming pool at Victoria Park was a popular attraction for youngsters from the Sydenham area for many years during the summer time. Can anyone help me with where the Park Cottages were at Sydenham, back in 1893, as it is showing on a Family Birth Certificate and we cannot find any record of it. Thank you. Thank you Gayle, I too have been looking for the location of 12 Park cottages, where my grandparents lived around 1890-1910. Their surname was Corrie, and my grandmother had a half sister called Mary Corrie, who married a man called John Greer. Hi, I live in an apartment on Station Road in what would have been a large Victorian residence. There is an old gate covered by bushes with the name Sandringham on it. I think this would have been the original name of the house. Would anyone have any info on the house and it’s origins?